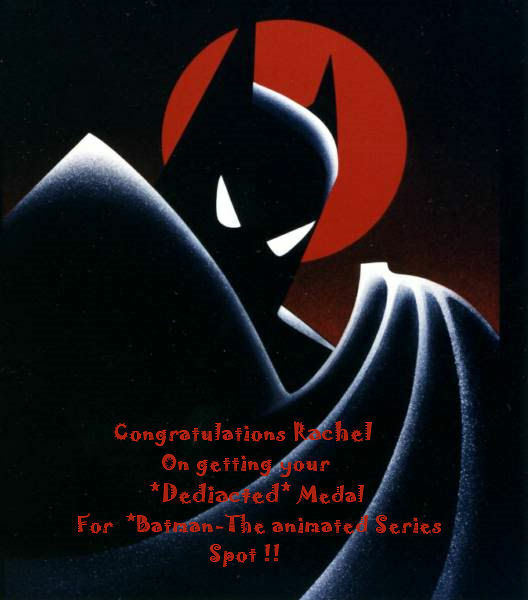 Congratulations Rachel on getting your *Dedicated* Medal for the *Batman-The Animated Series* Spot !. Congratulations Rachel on getting your *Dedicated* Medal for the *Batman-The Animated Series* Spot !. Wallpaper and background images in the funkyrach01 club tagged: sweet kind dearest friend rachel.